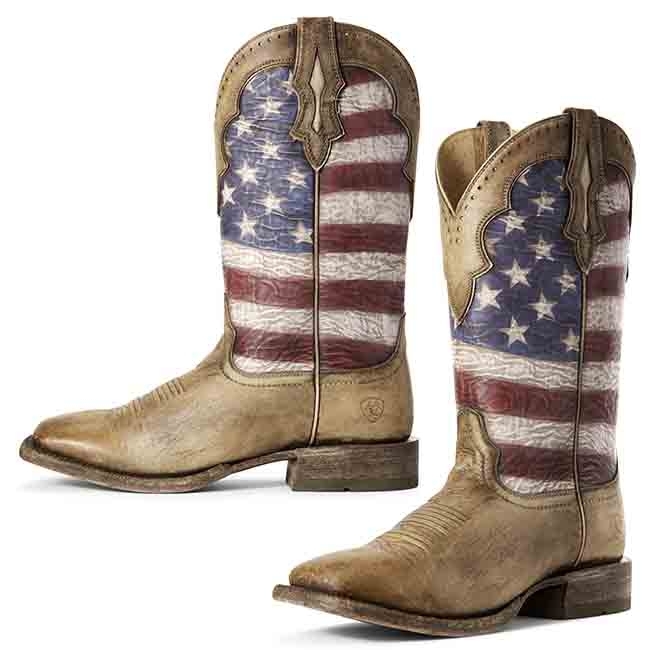 Looking for a great wide square toe western performance cowboy boot from Ariat with the American flag? Well, here it is. 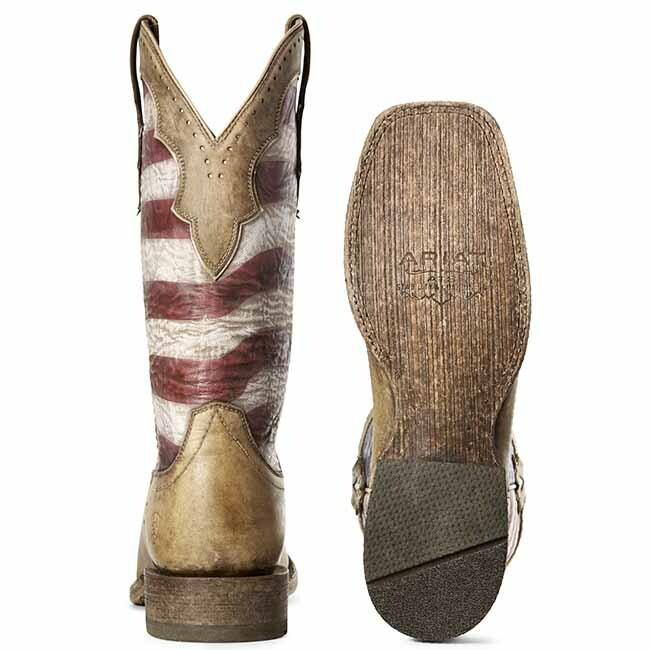 If you love the look of the Ariat Ranchero Stars and Stripes look, you'll love the the Ariat performance technology making it one of the top of the line performance boots in Ariat's collection. 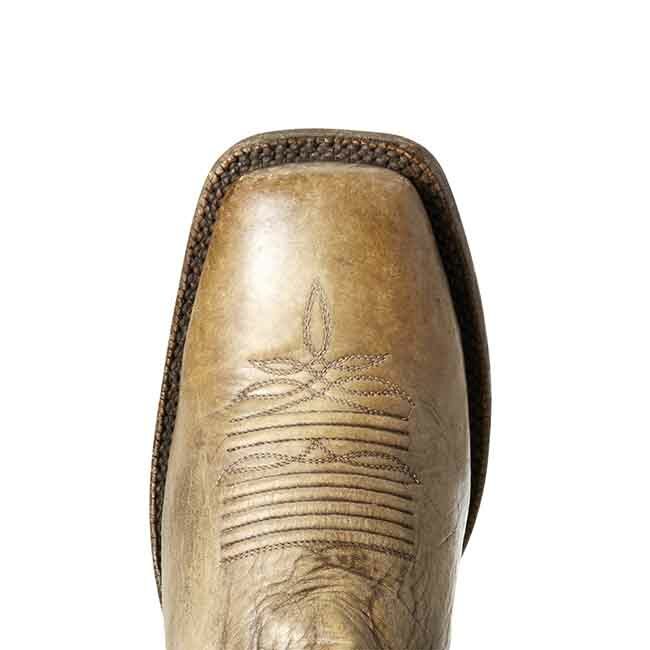 Premium full grain leather and a leather lining with a rock tumbled and distressed look for a pre-worn finish and a resolable leather sole. 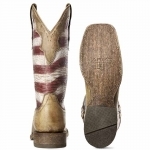 This boot has the Ariat ATS Pro level technology with upgraded comfort that delivers the heightened performance for reliability in and out of the saddle. 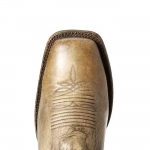 The foot bed has "Smart Rebound" that dissipates pressure in the forefoot and cushions the heel. And with the base layer Air Vents it helps to keep your feet cool and comfortable. 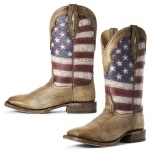 Comfortable in the saddle or walking in the town, these Ariat American flag boots will keep you in style that won't let you down.